The robot stretched its single limb investigating everything around and below it. The townsfolk were in awe as the Creator pushed buttons and caused it to wander at will. The disconnected eye on the end of a solitary finger began to glow and pulse. The Creator pushed some more buttons, causing it to bend and bow towards the crowd, like a dog sniffing a bone. The light grew stronger, clothes started to smoulder, hair to frizz, skin to blister. The excitement turned to panic and fear. The Creator jabbed at his buttons. The Creature turned its eye on him, swung its limb at an impossible speed and knocked the control fifty yards down the street, the Creator’s dismembered hands still attached. He bled out where he stood. The light turned into a leer, the Ray deadly to those in its path as street lamps everywhere switched on regardless of the time of day. It would gather its armies and begin a New Robotic Age. 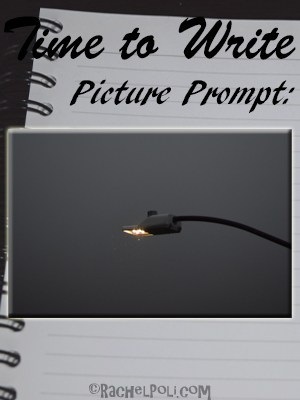 This entry was posted in #flash fiction, blogging, Challenge and tagged sci fi, time to write. Bookmark the permalink. War of the Worlds on our streets!